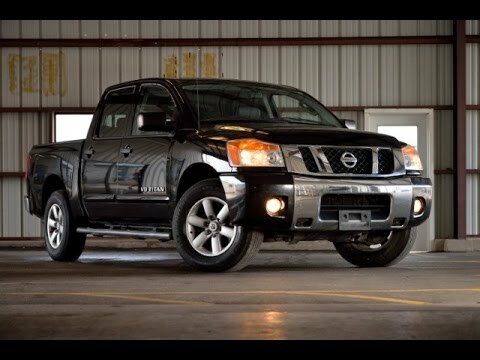 If you're looking for a big, powerful truck that's out of the mainstream in both style and features, has a really nice interior, a stump-pulling V8 engine and a host of innovations designed around real pickup-truck functions, take a look at the 2009 Nissan Titan. I haven't had any major repairs that were needed so far. This truck year and make has been very reliable. I am still as excited to drive my truck today as I was 4 years ago when I first purchased it. It has loads of power, a stable feeling drive, and just the right amount of accessories. The interior is very driver friendly with many controls on the steering wheel for safe and easy adjustments while driving. The only negative things about my truck is the gas mileage and being able to easily access my truck bed. The average gas mileage is only 15 mpg. I drive mostly highway roads and am not heavy on the acceleration. So, I am pretty disappointed in the mileage. The truck bed is pretty high and I am disabled. If it were cost effective to have an adjustable bed height via hydraulics I would love my truck even more. Large interior and performance to tie it all together. I really enjoy the Nissan titan. The crew cab has a large amount of space compared to other trucks in its class. It also comes with a lot of nice features and add ons with bed utility rack, the soft drop tailgate and the auto roll down on the windows from the key fob. Truck is nice and comfortable for long drives and gets decent gas mileage but that is probably its biggest downfall. But it makes up for it in comfort. Truck has been extremely reliable for me through all 4 seasons of the year and has held its ground through towing trailers and transporting large amounts of weight. I am very pleased with this vehicle. A man's truck by all measures. My vehicle gets better than expected gas mileage. Handles well with a firm yet responsive ride. The look is aggressively masculine and the trim package is luxurious. Payload and towing capabilities are ample. These things make the truck an overall outstanding value.